The Christian Wife Life: friday fun. Today is a fun day. Why is it a fun day? Well. Jordan and I awoke bright and early to go get our free breakfast from Chickfila. You can reserve them this week online so hurry up and do that! It was awesome to have some extra quality time together before we started our day. Even though it did include me getting mad at the alarm clock because it's the worst noise ever. I had a great workout. I don't drink coffee - but I kinda feel like working out is like coffee for me. It totally wakes me up and starts the day out right. Quality time set aside completely for God starts out my day even better. So thankful for His Word and the privilege of prayer. Now I'm painting my nails a new color I just bought. Not my fingernails...because...sadly....they are back to being pretty short for right now. Well I am painting them with a strengthening, clear coat so those suckers will grow, grow, grow. But the new color goes to my toes today. Usually I like to get the Target/Food Lion/Harris Teeter/Walmart brand of anything or just the cheaper option. But not with nail polish. Nooo sir. If I put cheap stuff on, it looks terrible. Doesn't last long. You just can't beat OPI and Essie. They don't fail. 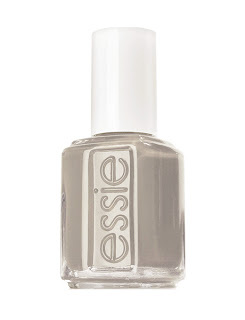 So the color I am loving for today is "Chinchilly" by Essie. Soon I will get to see my best friend Maggie. I don't get to see her much these days, as we're not in the same location or working together anymore...but it really doesn't change anything with us. Which is awesome. But we're so much alike and connected and perfect friends for each other that if I didn't already know that Jordan and I are "one" now I'd think that Maggie and I are. Ha. Then tonight I get to see my other best friend Ashlee! Whom I also don't get to see much. What a day. She and her husband Corey (whom I am also excited to see) are in seminary now and I can't wait to hear all about it. They are so encouraging and uplifting and I could talk to them about Jesus all day. Also this is my nephew. 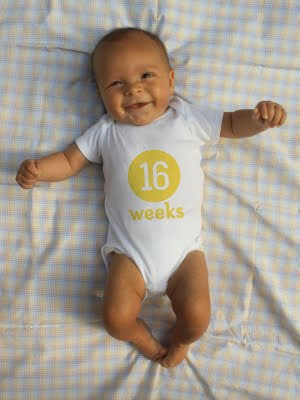 Revel in his cuteness. Love the Chinchilly color! I just went to Tarjay and bought the Ladylike mauvey color. LOVE! woohoo! Friday was a blast. SO glad we got to hang out!